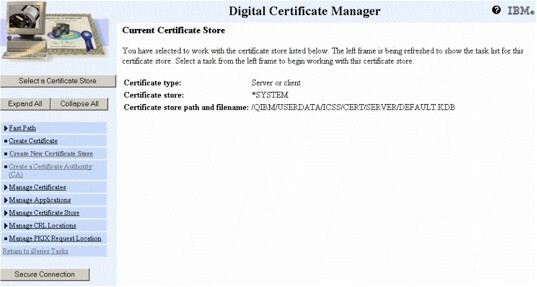 This process will guide you through setting up the Digital Certificate Manager to enable your iSeries to interact as a client to other external servers requiring SSL connections. 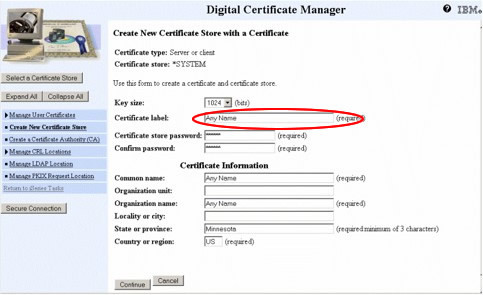 An example would be if you needed to send an XML credit request to Trans Union or other credit provider from your IBM i. Please note that this process may be different for machines on V5R4. 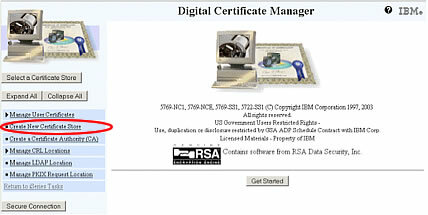 Additionally, you will need to verify that 5722AC3 (Crypto Access Provider 128-bit) is installed on your IBM i. 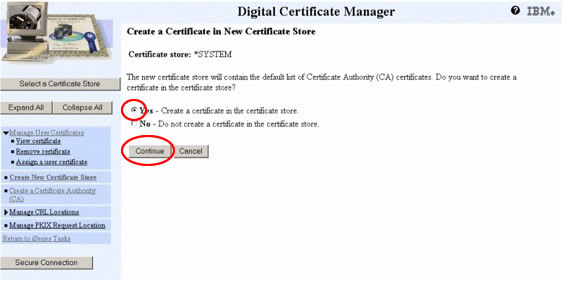 Ensure *SYSTEM is selected, and then select the “Continue” button. 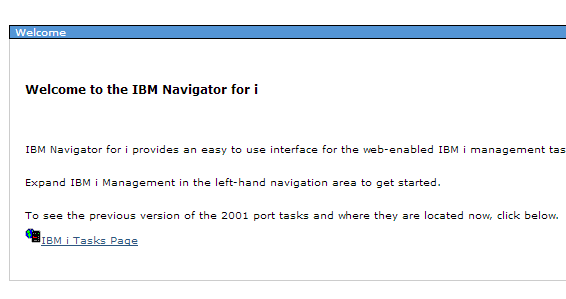 Note: if *SYSTEM does not appear, this process has likely already been completed on your IBM i. Select “Yes”, and then press the “Continue” button. 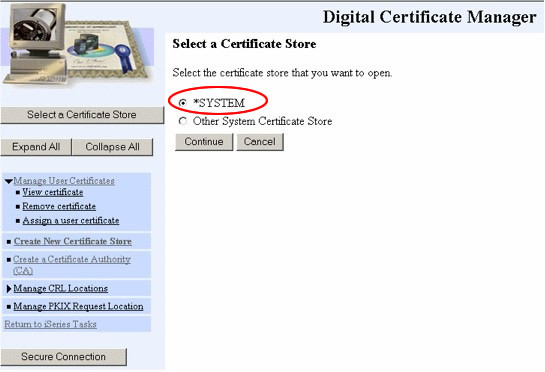 Put anything you want in the “Certificate label” field. 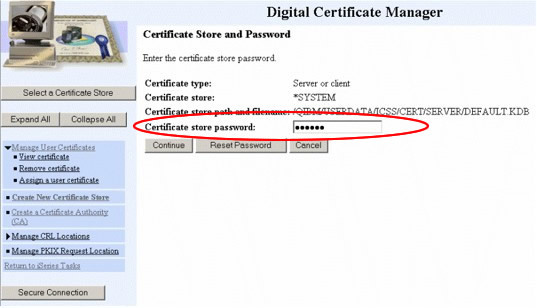 Then, specify a “Password”, and record it for future reference. Fill out the remaining fields, populating them with whatever data is necessary, and then select the “Continue” button. 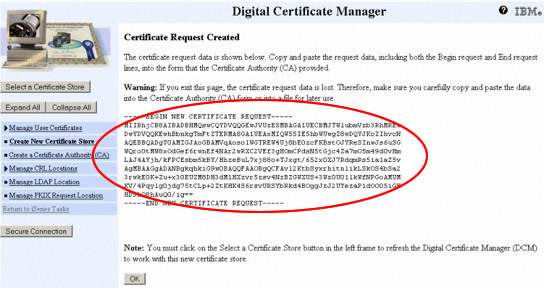 Cut and paste the below certificate key into a text editor (like Notepad) and save it someplace secure. Select the “OK” button. 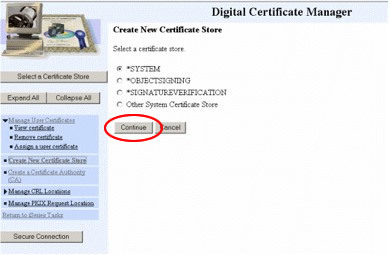 Selecting the “Select a Certificate Store” button at the top of the left sidebar will place you at the below screen. Make sure *SYSTEM is selected, and select the “Continue” button. 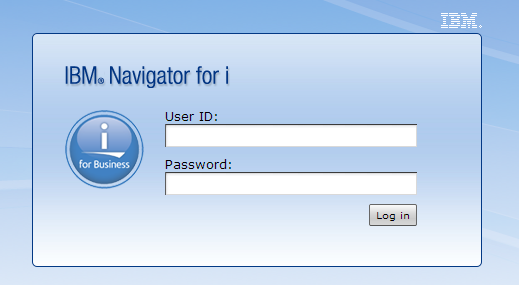 Enter the password you specified in Step 4, and select the Continue button. Note: If you ever forget the password, you can simply select “Reset Password” - you will be allowed to reset the password without knowing the previous password. 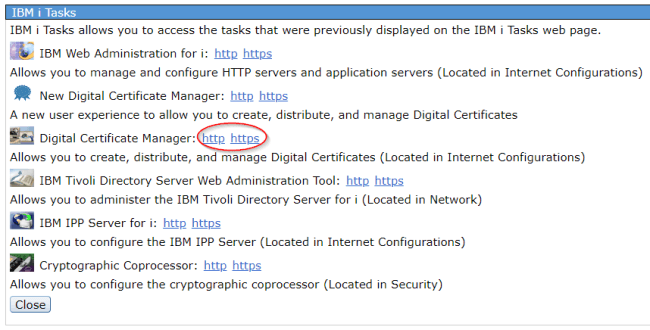 If your page looks like below, you have successfully set up SSL on your IBM i!